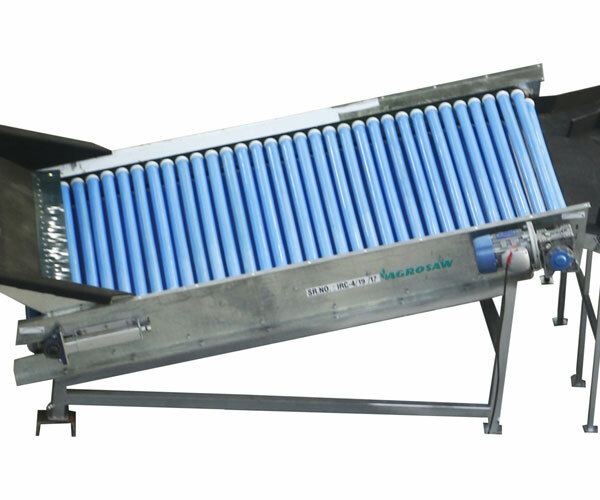 This is a Belt-roller type grader used for grading fruits & vegetables on the basis of diameter. 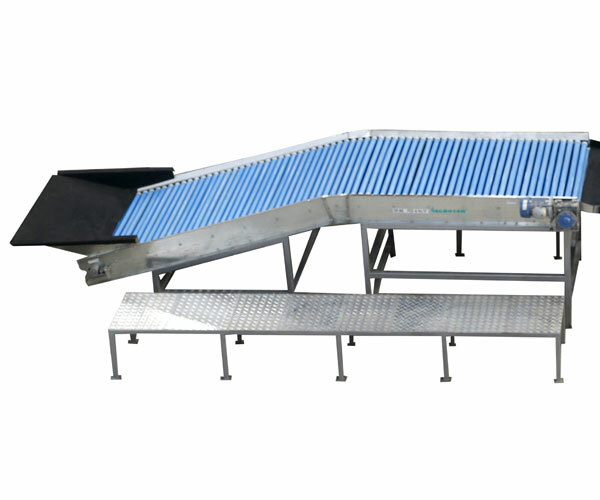 Product moves continuously on the belt in a single layer. 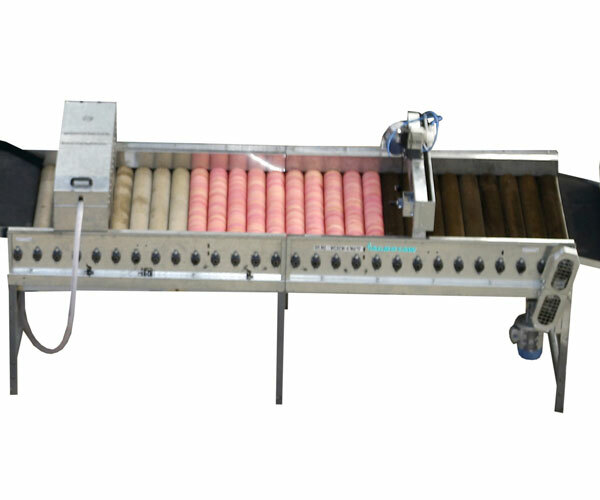 Series of Nylon roller hang on top of the belt & rotate on their own axis. Diameters of nylon rollers differ from each other so as to create a gap between the moving belt and rollers. The gap between the belt and roller grades the product. Roller and other contact parts are fabricated from food grade material & structure is made up of mild steel. 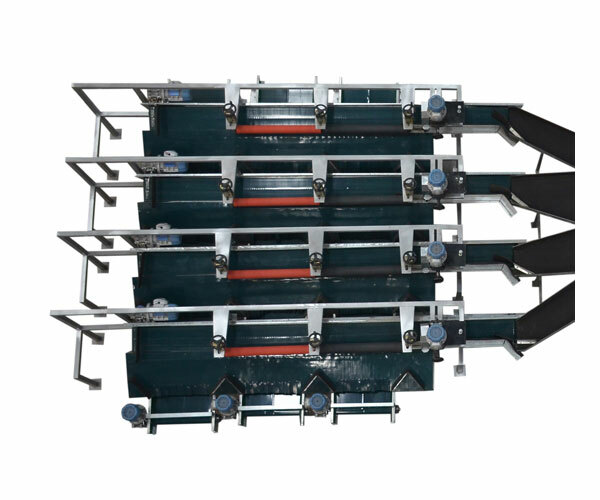 The grading machines consists of a rotating rubber coated disk and a series of measuring bars .The fruits are graded according to their diameter when rotating on the rubber disk and passing through the measuring bars. 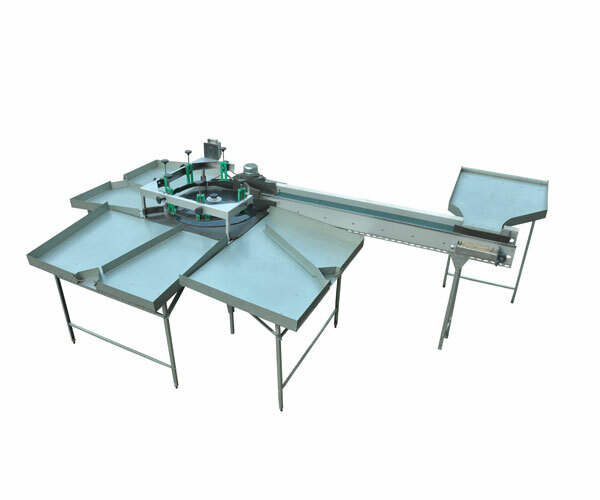 Rubber padded collection tables are provided on the periphery of the rotating disk for the collection of graded fruits. 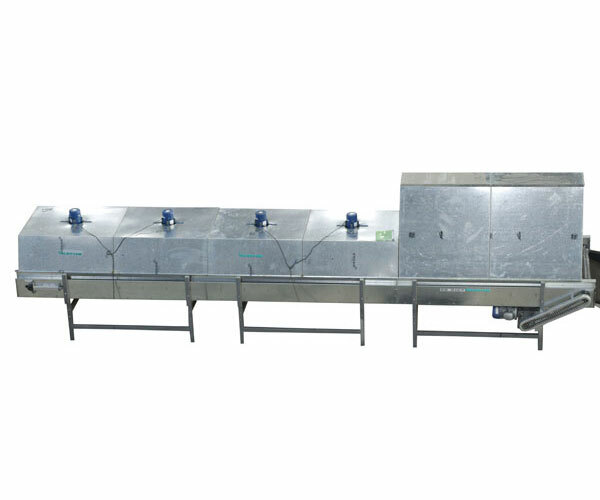 Five different sizes and one over size can be achieved from the machine.